Elon Musk’s SpaceX has a big stake in the battle over border security being waged in Congress: a launchpad on the U.S.-Mexico border that it plans to use for rockets carrying humans around the world and eventually to Mars. Democratic lawmakers have taken up the cause of Space Exploration Technologies Corp. and are trying to thwart the Trump administration’s efforts to build a border barrier that could cut across the company’s facility in Boca Chica, Texas, on the Gulf of Mexico coast near Brownsville. Lawmakers said they’re concerned about the impact on the company’s 50-acre facility after seeing a Department of Homeland Security map showing a barrier running through what they describe as a launchpad. “This issue with SpaceX is that the fence cuts right through their property and that’s a problem,” said Representative Lucille Roybal-Allard, a California Democrat who heads the Homeland Security spending committee. She said she’s continuing to fight for the area to be exempted in a final deal. Representative Filemon Vela, a Democrat whose district includes the SpaceX facility, said the company isn’t happy about the plans, though it hasn’t publicly raised objections. SpaceX hasn’t lobbied Congress on border barriers on its property, and hasn’t asked anyone to do so on its behalf, a company official said. James Gleeson, a SpaceX spokesman, declined to provide details on how the fence would impact the facility. The Homeland Security department didn’t respond to a request comment. A Customs and Border Protection spokesman said he would look into the issue. When plans for the SpaceX facility were announced in 2014, the company estimated it would create some 500 jobs in the historically impoverished Rio Grande Valley. That could be threatened by a wall or fence cutting the launch pad in two, Vela said. SpaceX currently flies the Falcon 9 rocket and completed a record 21 missions in 2018. The company has three launch pads: two in Florida and one at at Vandenberg Air Force Base in California. But Musk is working on a new, more powerful vehicle known as Starship to eventually ferry humans to Mars. 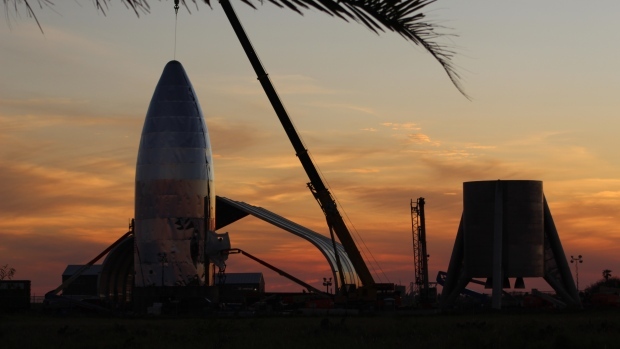 SpaceX recently announced that they will test the Starship test vehicle at their site in South Texas. SpaceX, along with Boeing Co. (BA.N), both have contracts with NASA to ferry American astronauts to the International Space Station. SpaceX’s first big test -- the maiden flight of its Crew Dragon vehicle, without any astronauts on board -- is slated for March 2. Boca Chica beat out sites in Florida, Georgia and Puerto Rico to host SpaceX’s launch site, and state and local officials provided about US$20 million of financial incentives, wrote laws to close a public beach during launches and has provided legal protection from noise complaints. Musk, also the chief executive officer of Tesla Inc., planned the Boca Chica facility to launch about a dozen commercial satellites each year, a lucrative business that SpaceX maintains it can perform more cost-efficiently than rivals.